... to large beaches where water sports. Our Hotels in Costa Brava are in Tossa de Mar. The Golden Bahia de Tossa & SPA and the Golden Mar Menuda hotel offer family rooms in Costa Brava. The Costa Brava is the most well-known coast with an excellent range of hotels. The Golden Bahia de Tossa is a modern hotel complex with large swimming pools. It's a perfect hotel if you are looking for a hotel in all-inclusive in Costa Brava. On the other hand, the Golden Mar Menuda is a cozy beach hotel on the sea front. Golden Hotels are situated in Costa Brava and very close to the historical center of this beautiful city in Costa Brava, Girona. In 1908, journalist Ferran Agulló coined the term Costa Brava to describe the wild, precipitous, wooded landscape of the Girona province coastline from Blanes to Portbou. This incomparable setting is home to around 100 striking beaches which have been regarded as the top tourist destinations since the mid 20th century and the quality of which has been acknowledged year after year with the award of numerous blue flags by the Foundation for Environmental Education in Europe . The Costa Brava has all kinds of beaches for all kinds of tastes. You can discover both small and larger coves, some of which are hard to reach by land, ideal for enjoying your peace of mind if you have access to a boat. There are also long stretches of beach where you can participate in sports including windsurfing and fascinating seabeds for scuba diving enthusiasts, such as the Cape Creus and Medas islands nature reserves. Moreover, some of these coves and beaches feature bars and restaurants where you can enjoy the traditional Catalan cuisine by the sea. 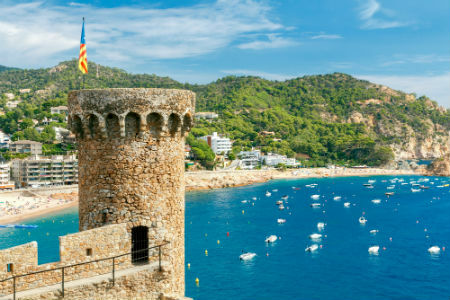 The region we now know the Costa Brava has been an area of ​​passage and settlement for different peoples and cultures and the gateway to the Iberian Peninsula from Mediterranean Europe for centuries. 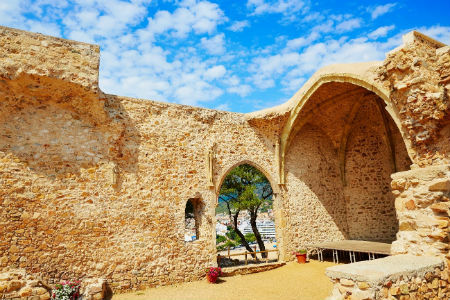 Witness to this are the countless historical relics to be found in the region, such as the ruins of the Iberian villages of Ullastret and Puig de Castellet, and the Greek and Roman colonies of Empúries. All these archaeological sites are open to the public. 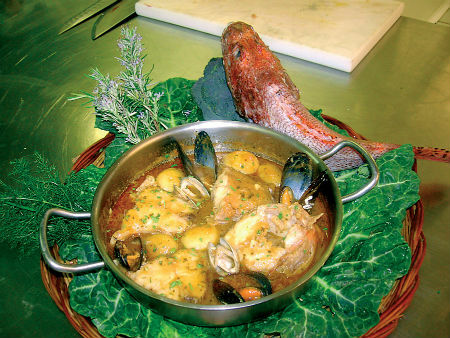 The uniqueness of the local Costa Brava cuisine is due to a mixture of seafood and farm products. Black rice with shellfish and meat, chicken with lobster or crayfish, “suquet” (seafood casserole), “espardenyes” (sea cucumbers) , the famous Blanes and Palamós prawns and “garoines” (sea urchins) are some of the most popular dishes to have come out of this region of the Catalan coast. Besides visiting one of the numerous restaurants in the region, a good way of getting to know the typical Costa Brava cuisine is to take part in one of the numerous promotional campaigns and gastronomical samplings held over the year, including those dedicated to “suquet” seafood casserole (Blanes, June-July), noodle casserole (Tossa de Mar, June), prawns (Palamós, summer) and many more.